There was a definite autumn chill in the air when we went early to breakfast today, early because we were planning to visit the capital of Spain, Madrid. Kim and I had previously planned to visit in March but due to a misunderstanding about train bookings on my part we didn’t make it. This time there could be no such problem because there isn’t a train station in Chinchón so we were planning to go by bus. It was still cool as we waited for the five to ten bus to arrive but we trusted the weather forecast and were in our shirt sleeves, which drew some looks of open-mouthed disbelief from the local people who were wrapped in woollies and big coats. I must confess to having been a bit uncomfortable and I was glad when the banana yellow no. 337 bus arrived dead on time and we relieved to find that the driver had the heating on. 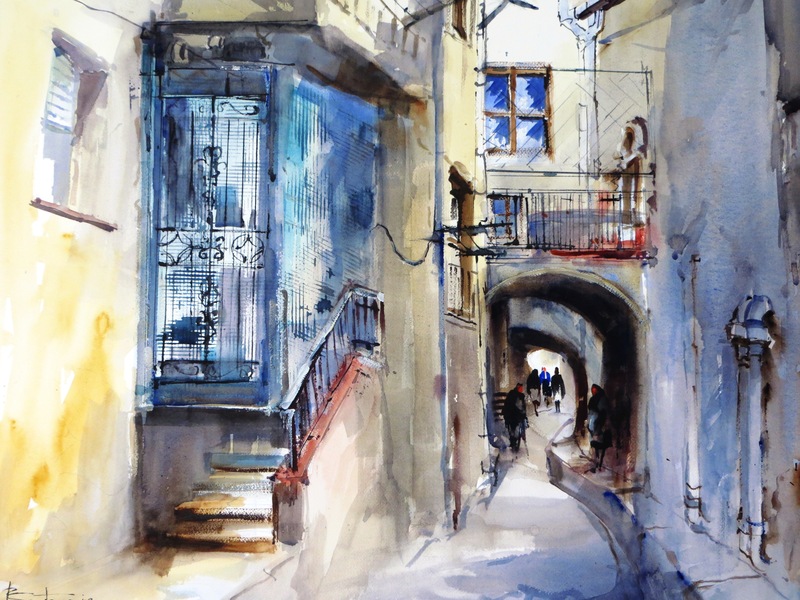 It is only forty-five kilometres to Madrid but that is by the direct route and the bus didn’t take the direct route as it meandered around the back roads and made several stops on the way. For the first part of the journey the journey was through fields of brown earth scorched into submission by the long Castilian summer and now waiting expectantly for winter respite and some rain. Later it did speed up as it reached the outskirts of the third largest city in western Europe (after London and Berlin) and joined a motorway that took us to the final stop just on the edge of the central part of the city. It had taken just over an hour and by the time we arrived it had thankfully begun to warm up. We could have walked to the centre but we weren’t completely sure just how far that was so instead we elected for the metro. Kim was nervous about this because the last time on a metro was in Athens when she had her camera stolen by a pickpocket. This time she kept a vice like grip on her belongings but she needn’t have worried because it was way past rush hour and we didn’t share the carriage with that many passengers, which meant that it was easy to keep clear of those on board that she distrusted – and that was everyone by the way! It was only a short journey underground and we emerged quickly into the sunshine in the Plaza de la Puerto Del Sol right in the centre of the city. After Paris, London, Rome and Barcelona, Madrid is the fifth most visited city in Europe and there were a hundred and one things to do and see but all of the interesting stuff had to wait for a few minutes because the first thing Kim, Sue and Christine wanted to do was to go to a cake shop for a snack and a coffee. This confused Mickey and I but we really had to concede mostly on account of this being Kim’s birthday and she was most determined to have a birthday cake before lunch. I wasn’t quite sure what to expect in Madrid, compared to London, Paris and Rome it only achieved capital status relatively recently, and there is no iconic building to define it, no Eiffel Tower, no Colosseum and no Westminster Abbey or famous cathedral or castle either so I was curious about what we were likely to see. After we had had quite enough cakes we returned to the street and walked first in a westerly direction towards the Old City and the Palacio Real. On the way we detoured via the Plaza Major the original city square with a large cobbled pedestrianised area, perfect for people to meet and chat and with grand buildings, a central statue and pavement cafés all around the sides. We stayed for a while and then continued with our sightseeing. It was an unusual day, it was approaching midday and there was a clear blue sky but it was cool in the shadows of the buildings and it was already obvious that we wouldn’t be enjoying the same high temperatures of just a couple of days ago. We passed through the Mercado de San Miguel, which was no doubt once a proper indoor market but has now been converted to a rather trendy bijou sort of place with specialist food stalls offering small samples and a good range of vibrant tapas bars. We might have stayed for a snack but we were still full of cake so we just wandered through and left. Following the Calle Mayor we arrived at the city cathedral which seemed unusually modern and the reason for this is that when the capital of Spain was transferred from Toledo to Madrid in 1561, the seat of the Church in Spain remained in Toledo so the new one had no cathedral. There obviously wasn’t a great deal of urgency about the matter however and construction of a cathedral dedicated to the Virgin of Almudena did not begin until 1879 and due to the volatility of Spanish politics in the twentieth century was not completed until 1993. 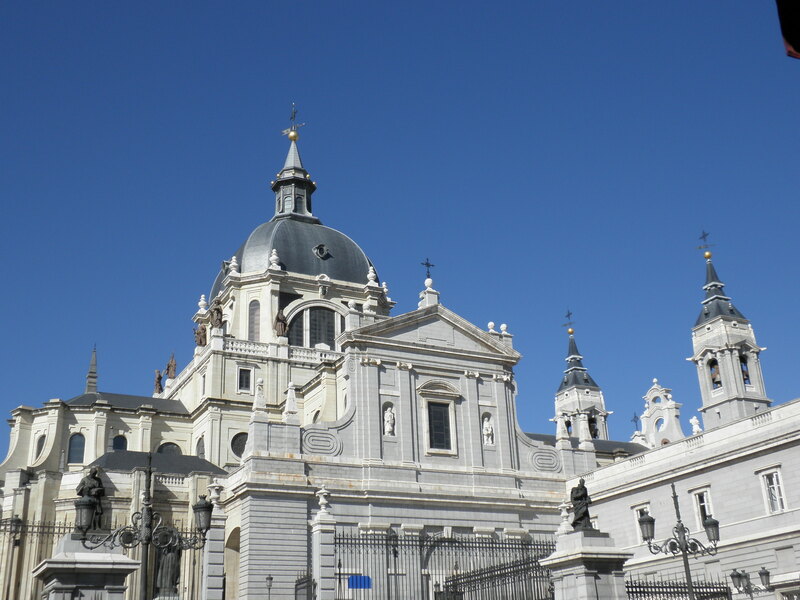 Next door to the Cathedral is the Palacio Real de Madrid, which with an area of one hundred and thirty-five square metres and nearly three thousand rooms is the biggest Palace in Europe and more than twice as big as Buckingham Palace in London. It is the official residence of the King of Spain but he doesn’t live there, probably because it must be a bugger to heat in the winter and it is only used for official State Ceremonies. King Juan Carlos and the Royal Family choose to live instead in the more modest Palacio de la Zarzuela on the outskirts of Madrid. We walked around the outside of the white stone palace and admired the views over the royal gardens and then visited the adjacent Plaza de Orient a spacious and well laid out pedestrian area with an extravagant fountain and equestrian statue of Philip IV surrounded by immaculate gardens with lines of statues of former Kings celebrating the period of the Reconquesta. 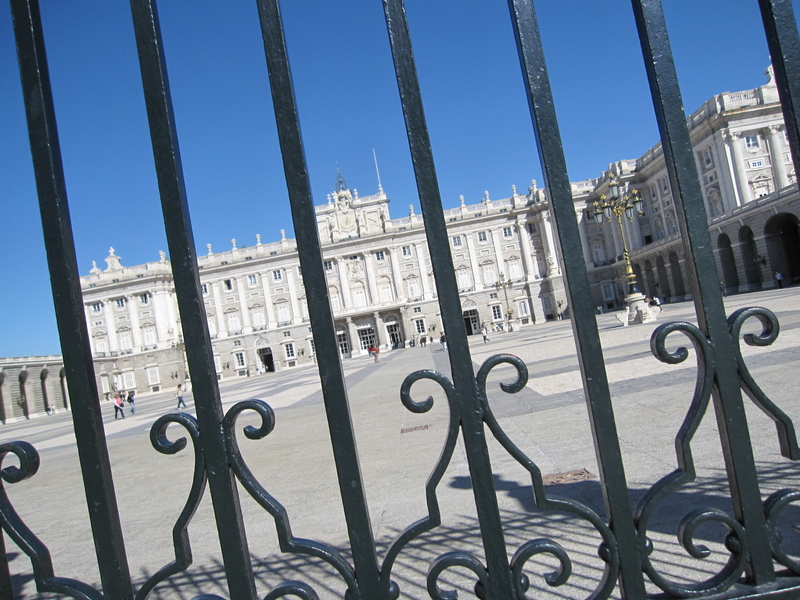 This entry was posted in Cathedrals, Europe, Food, History, Postcards, Spain, Travel, World Heritage and tagged King Juan Carlos, Madrid, Palacio Real, Photography, Plaza de la Puerto Del Sol, Plaza Mayor Madrid. Bookmark the permalink. 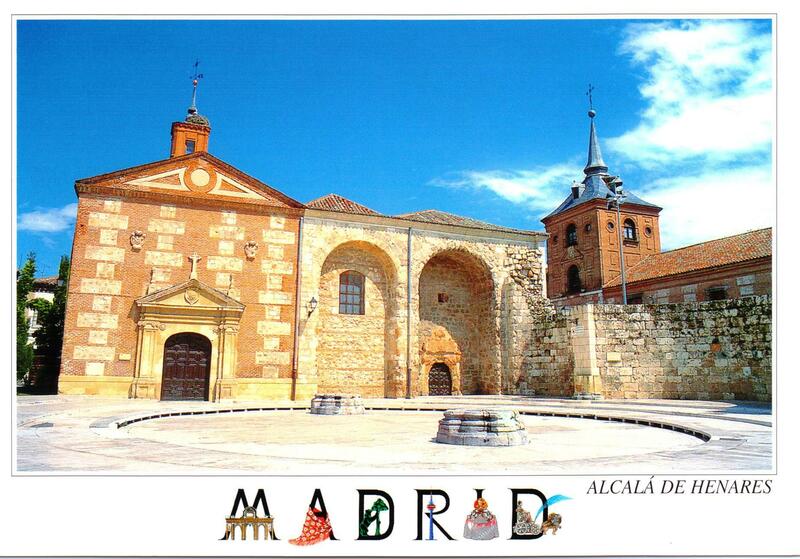 I loved Madrid when I went some years ago late in the year…. I’ve never been to Madrid. When I did Inter-Railing many years ago, it seemed to be a long way, but to have very little that was particularly famous. A bit like the verdict by Dr Johnson on the Giant’s Causeway. I do like that bear though…. Exactly my thoughts. Love that Dr Johnson line! It’s the little lane ways I like. And the bear. The bear is like the badge of Englsh County Warwickshire! The cake shop stop was good but didn’t serve San Miguel! This was some time ago. What a great city. I hope you enjoyed it! I must confess our time in Madrid is a bit of a blur. Beastly hot in mid August and not enough time to do it justice. 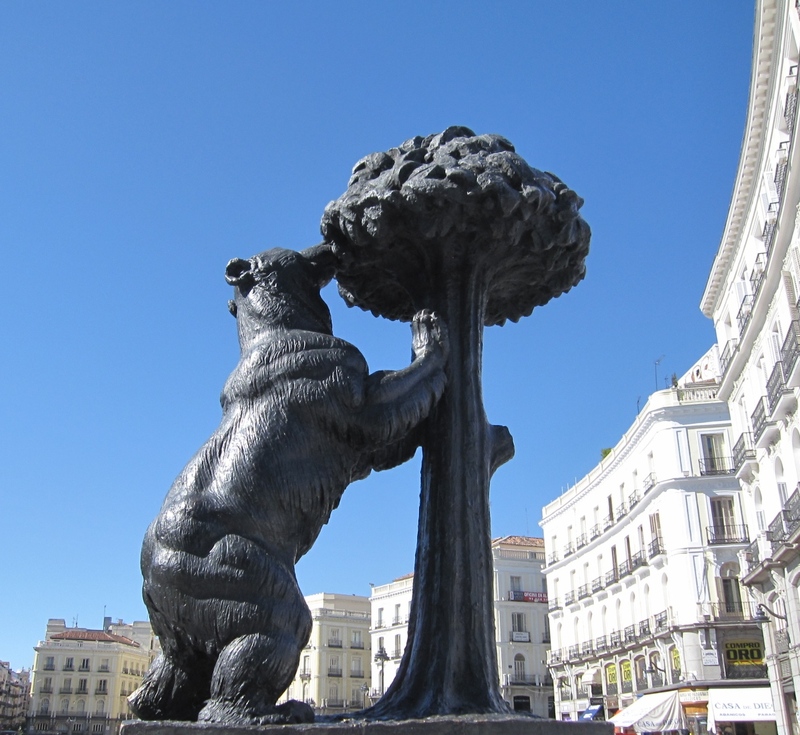 I love that sculpture of the bear and great angle I must say. Kudos to the photographer! It deserves a few days that’s for sure. Struggled with that picture – too many people! Well I’m glad to hear you don’t always manage to have people free zones for your photography. Oh and just when you thought my eyeball might not fly across the room, my posts aren’t showing up again in Reader. So I am back emailing WP again. All I can suggest is that readers either sign up by email or pop over now and again. Really not sure what else to do at this point. Crazy, I thought you had an enhanced product!